Why President Trump loves Boeing Max 8 and why grounding may not be an option? The management at Boeing Headquarter is waking up to a week that will bring great challenges and a PR a nightmare that is already unfolding big times. So far the giant airline producer in Seattle was literally speechless. This publication reached out to Boeing repeatedly without response. The company posted just one short press statement to their media room yesterday. If safety was really first at Boeing would have acted immediately after a second brand new 737 Max 8 crashed, combined now killing well over 350 innocent people. There is a potential for a substantial financial loss and loss of reputation for Boeing. Only on February 27 no one other than a proud U.S. president Trump and his counterpart from Vietnam witnessed VietJet, while not government-owned, signing a deal to purchase 100 Boeing 737 Max. 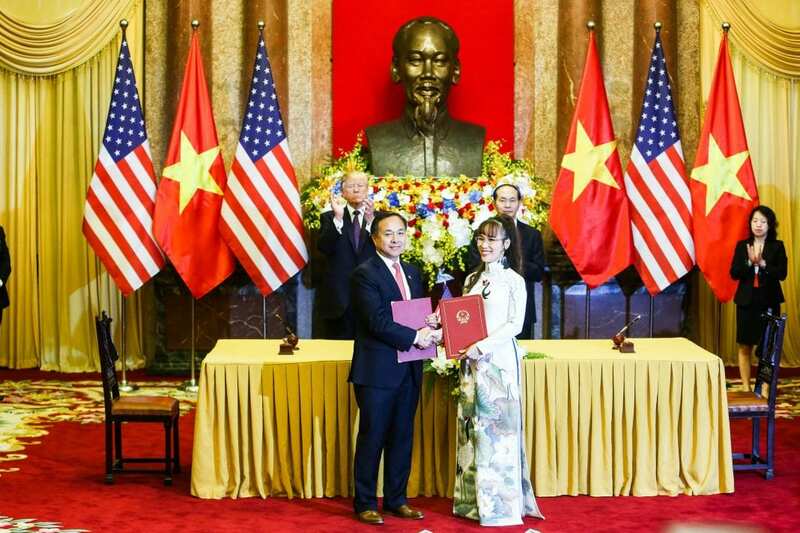 Vietjet also signed a deal to buy 100 Boeing 737 MAX narrowbody jets when former U.S. President Barack Obama visited Hanoi in 2016. Grounding all Boeing 737 Max would be the responsible immediate next step to do, but what would this mean for the aviation industry? What would it mean to US based SouthWest Airlines with 250 Boeing MAX aircrafts on hand and a brand new service to Honolulu at stake? Besides all the tragic development one airline in specific has shown global leadership and should be credited for it: Ethiopian Airlines. This African Carrier, member of Star Alliance grounded Boeing MAX 8 until further notice. One government showed leadership and should be praised for grounding Boeing Max 8: The Peoples Republic of China. Monday morning is just breaking in the United States, and the day may be a day of tough decisions for the aviation industry.